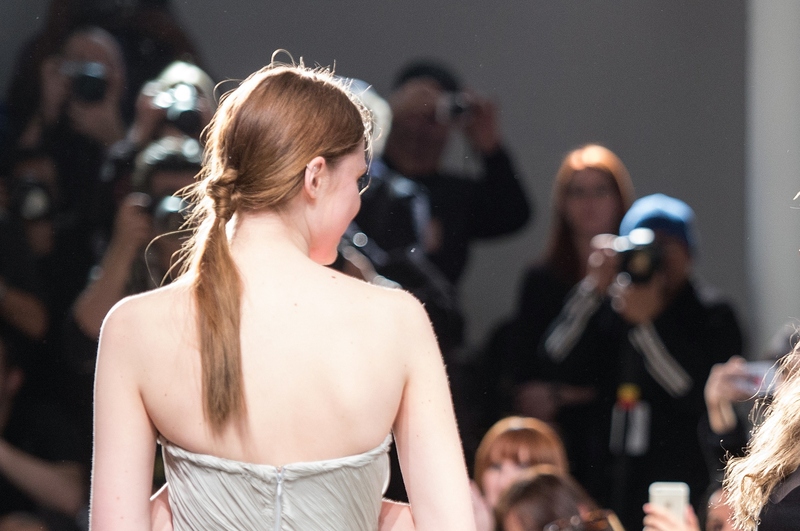 Looking for a new way to funk up your basic ponytail look? The amazing stylists at Aveda have you covered with this new, simpler take on the cobra braid. If you’ve ever done lanyard, you probably already have a good idea of what this looks like. It’s essentially just a fancy knot with a thicker middle that looks strikingly like the body of the cobra snake. I’ll explain in detail how you can easily create the style yourself, but first, here are some up-close shots of Fall 2016 New York Fashion Week models sporting the look. Not too hard, right? Here’s a diagram to reference if the instructions are difficult to visualize. If only my hair were a little longer, I’d totally rock this. It looks like it works best on long, straight hair, but I’d be very curious to see how it stands out on curly locks. So if you’re planning a night out and want to get a little crazy in the hair department, give this little cobra braid a try and see if your friends notice.